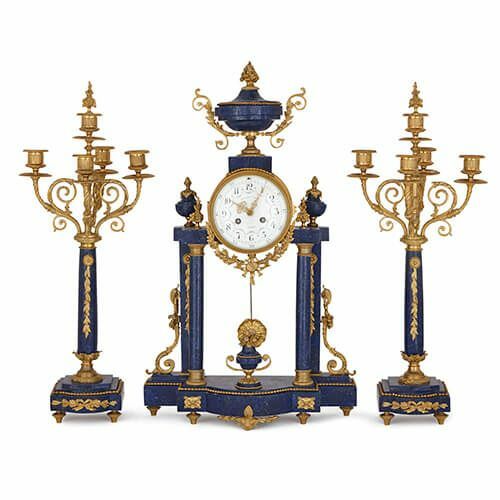 This stylish French clock set, finished in blue lapis lazuli and gilt bronze and with a sleek, understated charm, is a garniture of the highest quality. The design of this beautiful three-piece clock set utilises to maximum effect the straight lines, flawless porportions and subtle yet artful ornamentation which gives the Louis XVI style its enduring appeal. The set is made up of a central clock and a pair of flanking candelabra: the clock has a central circular enamel dial which bears the mark for its 19th Century retailer, 'Bernard-Lebel / Fougères'. 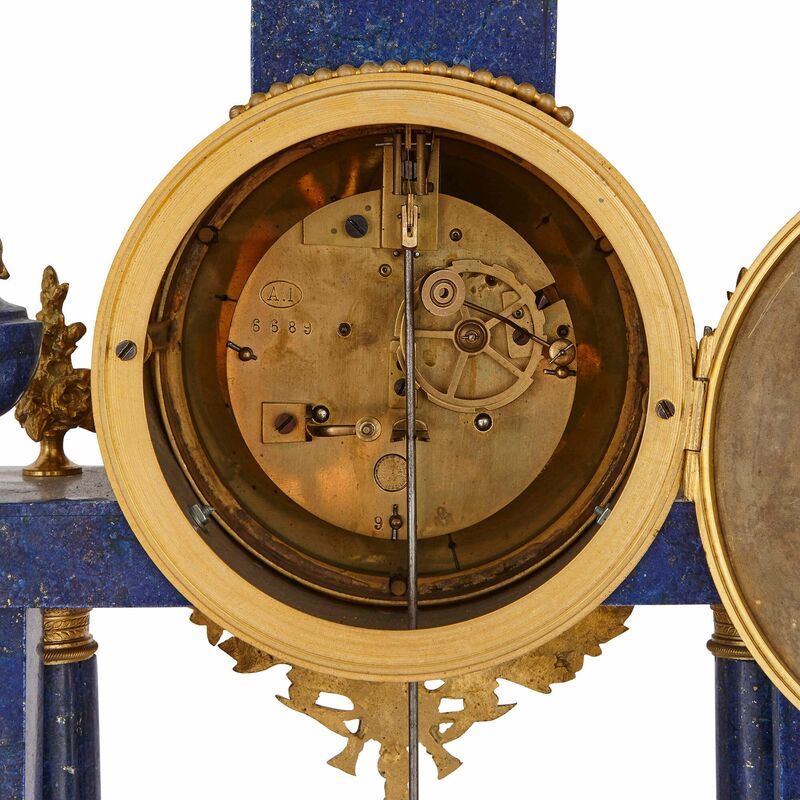 The dial is set within an ormolu drum-form case, and is supported by four lapis lazuli columns on a shaped plinth. In between the columns hangs the clock's pendulum. 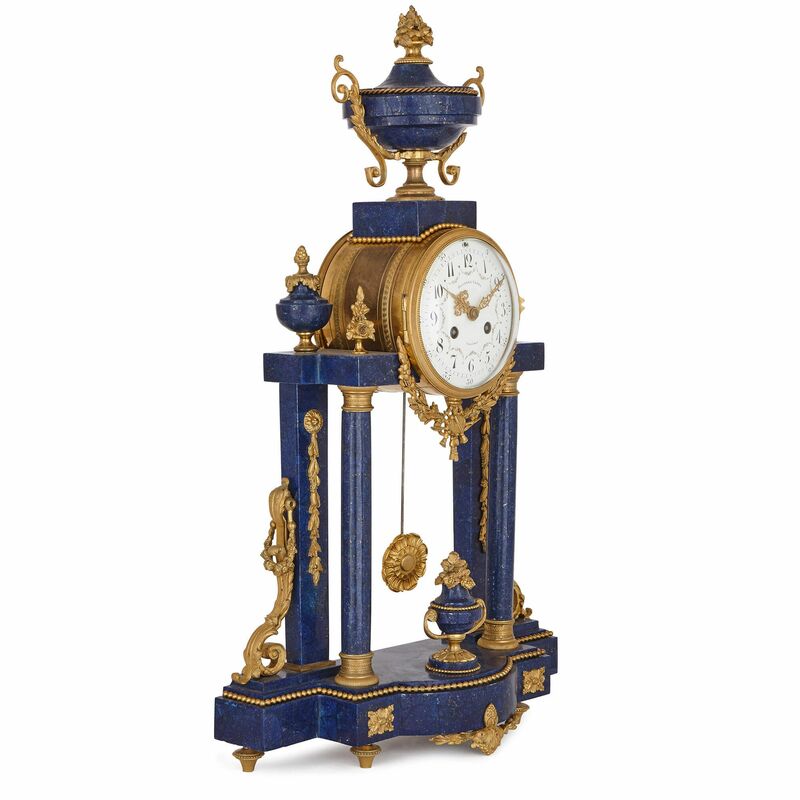 The plinth, columns and clock case are all surmounted by lapis lazuli vases with ormolu finials. There are ormolu mounts all around the clock's exterior, in the form of scrolls, beads, and garlands. 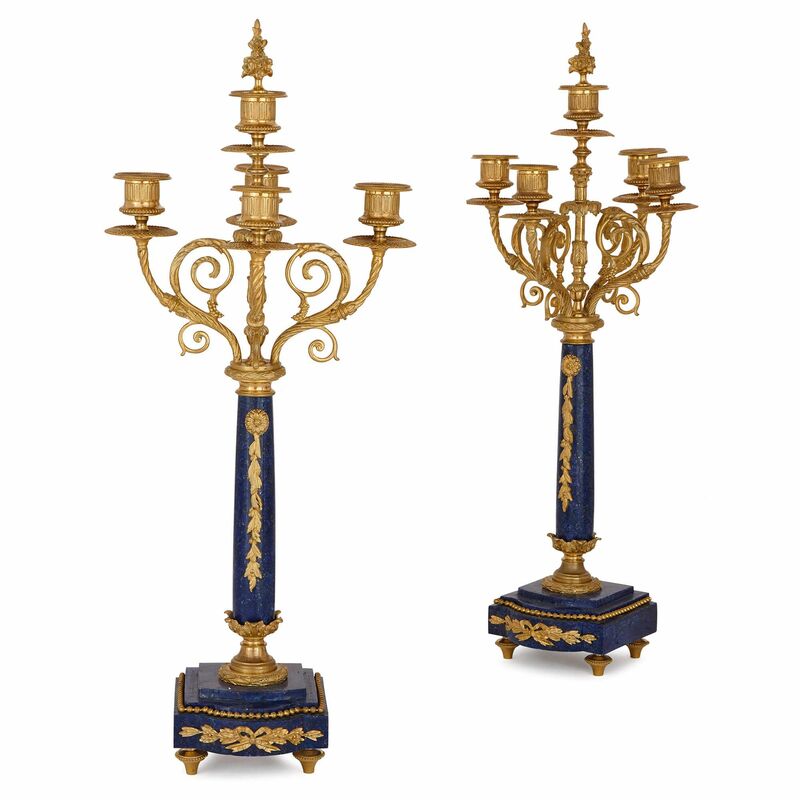 The flanking candelabra each have five scrolling ormolu branches, supported by a single lapis lazuli column, on a square base. 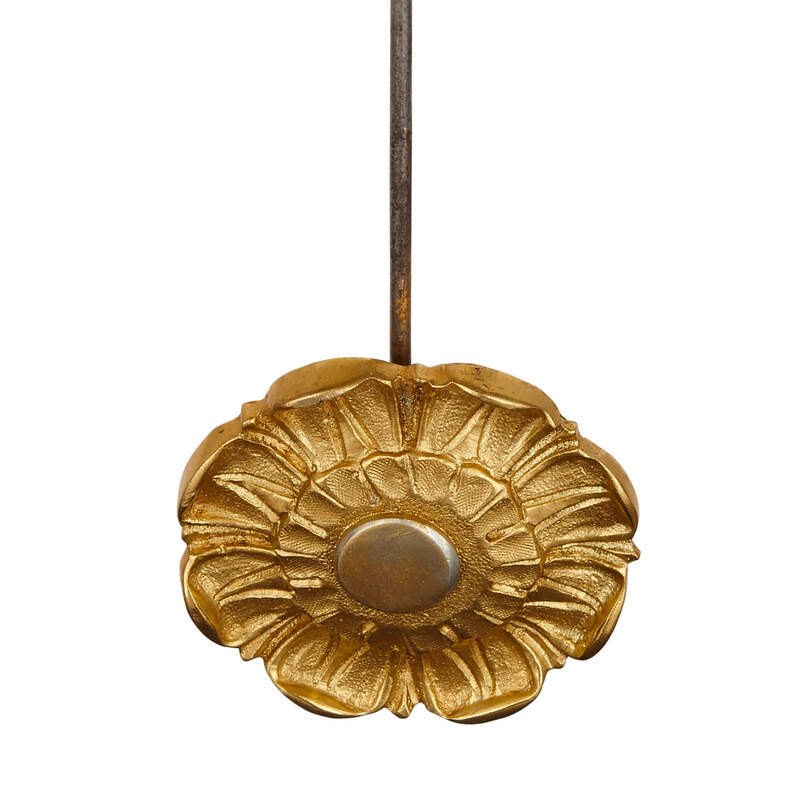 Each light has a circular drip pan beneath it, and the central light is surmounted by a removable finial. 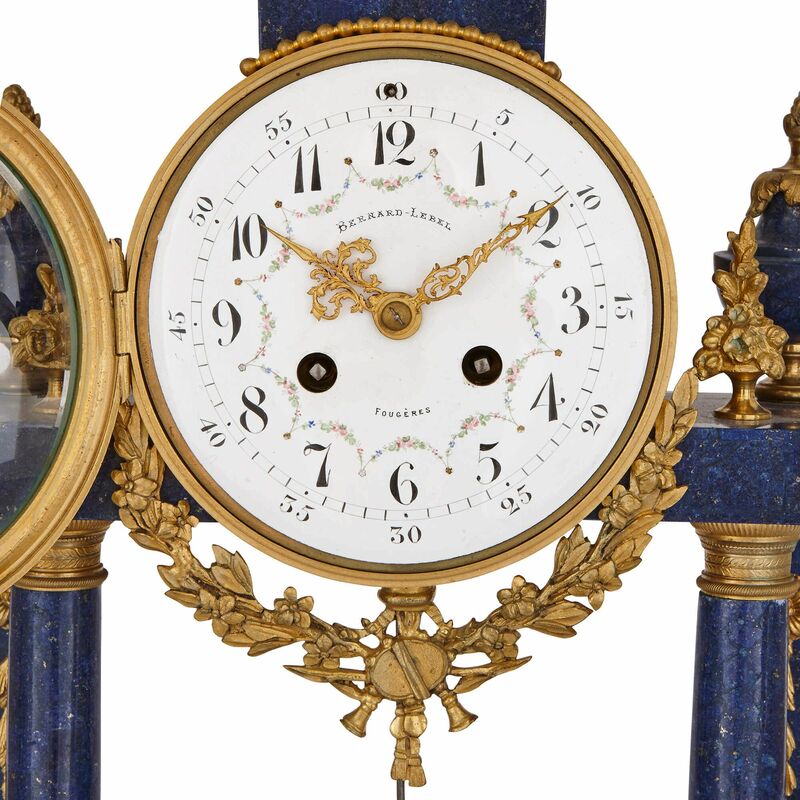 The clock set dates to the late 19th Century, with the lapis lazuli veneer being a later addition.